LS Build is our latest branch of Lightning Strike. We bring you custom built furniture and structures designed to fit your needs. From pedestals to doughnut walls, we want to work with you to bring your next idea to life. Contact us for more information. Pedestals made to order. Custom sizing and finishes available. A doughnut wall built for a wedding at The Ivy Room. Commissioned by Hello Darling. 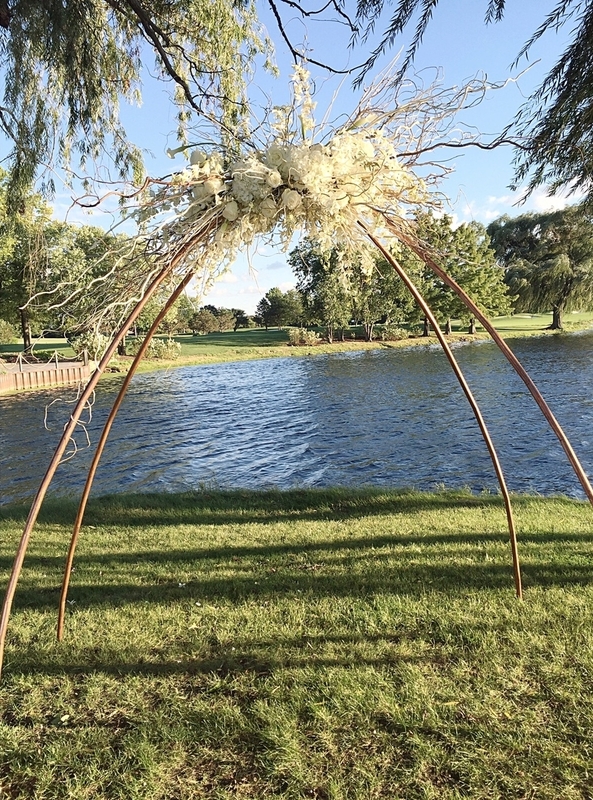 A custom archway built for a wedding Bridgeport Art Center. Commissioned by Asrai Garden. Tony hanging the arch at the Bridgeport Art Center. Arch built by LS Build, custom floral design by Asrai Garden.